L’Oreal Paris Miss Manga Mascara Violet Review! I was a bit skeptical about trying a new mascara but I did need a new every day mascara, as personally my usual mascara is a little too full volume for every day wear. I decided to try the new L’oreal Miss Manga Mascara in Violet for a change, and I got it at the introductory price of £5.99. With it’s interesting brush shape and advertisement I grabbed one to try. The brush boasts that it is the first to be L’oreal’s 360 brush, that grabs every last at any angle and wiggles and flexes to your lashes. First off I’d like to say that this brush feels awkward while brushing it on the lashes! It almost feels as though the brush is about to come off or seriously bend and stay bent. I do like that it isn’t a firm plastic brush (such as a brush on comb applicator) as I find these style brushes work best for my lashes. For me, this mascara is okay. The colour is very similar to YSL’s choice of purple mascara which I like as it complements my eye colour bringing out the red tones in it. It’s also not too purple, with the colour looking quite dark at first glance. It does lengthen the eyelashes but I feel almost a little disappointed it doesn’t volume more than shown, considering the formula is very thick. There is also a really strange almost plastic smell on the formula which is quite off putting! Good news though is that it didn’t make my eyes water burn or itch! So I may try another L’oreal Mascara after this one has been used! Would I repurchase? Doubt I would, the smell is off putting and doesn’t do much to my lashes! BUT I would consider trying other L’oreal Mascaras. 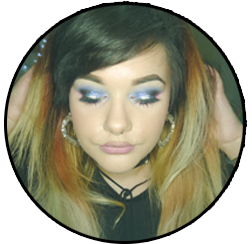 Posted on February 8, 2014 by sindyydollPosted in L'orealTagged bblogger, Beauty, beauty blogger, beauty review, Cosmetic, Cosmetics, L'Oréal, l'oreal review, Make up, makeup, manga mascara review, mascara, mascara review, miss manga mascara, miss manga mascara review, welsh beauty blogger, welsh blogger. Previous Previous post: Benefit Lollitint review + Swatches! Next Next post: No 7 Limited Edition Peony Petals Blush Palette Review!